AND MASS MURDER OF CIVILIANS = APPROVED STRATEGY SINCE 2006 | Concise Politics -- Your Time should NOT be wasted. DAHIYA DOCTRINE = USA Arms Export Control Act of 1976 specifies that USA-supplied weapons must be used “for legitimate self-defense” USED OFFENSIVE OVERKILL AND MASS MURDER = WAR CRIMES! DAHIYA DOCTRINE = No Proportionality in this DOCTRINE = Like WAHHABISM OVERWHELMING VIOLENCE AND PURPOSEFUL MASS MURDER OF CIVILIANS! 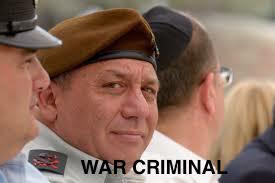 = WAR CRIMES! DAHIYA DOCTRINE = Standard Israeli policy of collective punishment that is beautifully summed up in the Dahiya doctrine. DAHIYA DOCTRINE = EVIL General Eizenkot stated: “In the next clash with Hizbullah we won’t bother to hunt for (military targets)…Rather, we shall destroy Lebanon and won’t be deterred by the protests of the “world.” = MASS MURDER OF CIVILIANS! DAHIYA DOCTRINE = We shall pulverize villages and we shall not show mercy when it comes to hitting the national infrastructure of a state. This strategy is not a threat but rather, an approved plan. = WAR CRIMES! Click for Added Interview on this DAHIYA DOCTRINE USED BY ISRAELI WAR CRIMINALS! AND MASS MURDER OF CIVILIANS = APPROVED STRATEGY SINCE 2006. Bookmark the permalink.